Activities for children and young people. Go Local Food has been growing for 6 whole years and we have expanded our community with activities specially designed for children and young people. 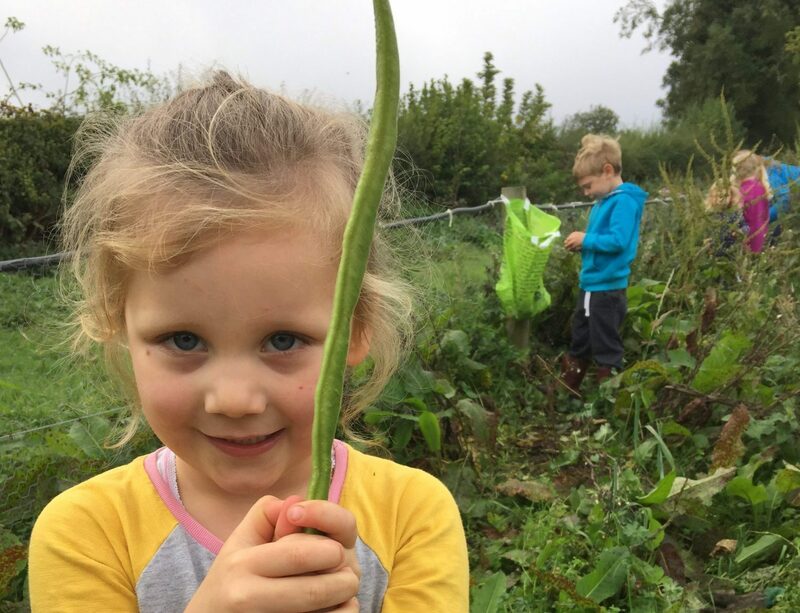 We have a dedicated plot on the fields for our Growing Gang and have been experimenting with veg growing, bug hunting, scarecrow making, bird spotting, flower pot painting, and upcycling… we have plenty of ideas for projects we’d like to do. It’s a great compliment to other clubs, and sports activities designed for young people. Our Growing Gang meets on the last Saturday of each month on the fields (10.30am – 12 noon), why not come and see what is happening? No need to book, just turn up ready to get muddy! with your wellies or strong shoes, and warm clothes. Children will need to bring a grown up – as you can see from our pictures they are quite helpful and enjoy our Saturday mornings! We are also open for visits from clubs, youth projects, schools. Get in touch if you would like to organise something for your group. To keep up to date with our plans and the activities follow our news here.